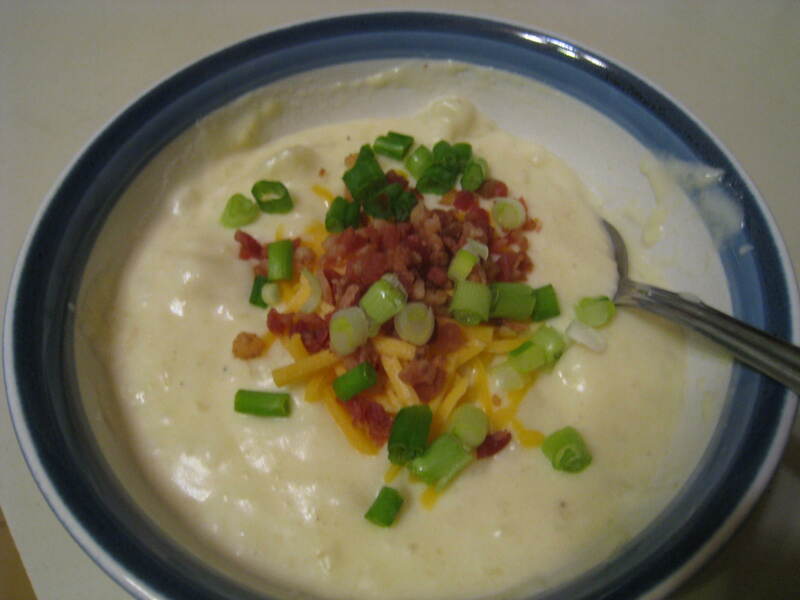 There’s a local restaurant that makes incredible baked potato soup – I mean out of this world good! This is my first attempt trying to copy it – it’s close, but I need to make it a little thicker and it will be close. In a large stockpot or Dutch oven, melt the butter. Add ¼ cup of flour to the pot and whisk into the butter. Cook, whisking constantly, until golden brown, about 2 minutes. Whisk in the milk and the rest of the flour. Cook until thick and bubbling, about 6-8 minutes. Mix in the potato chunks. Whisk in the salt, pepper, and cheddar cheese and stir until the cheese is melted. Remove from the heat, stir in the sour cream. Adapted from Annie’s Eats blog.